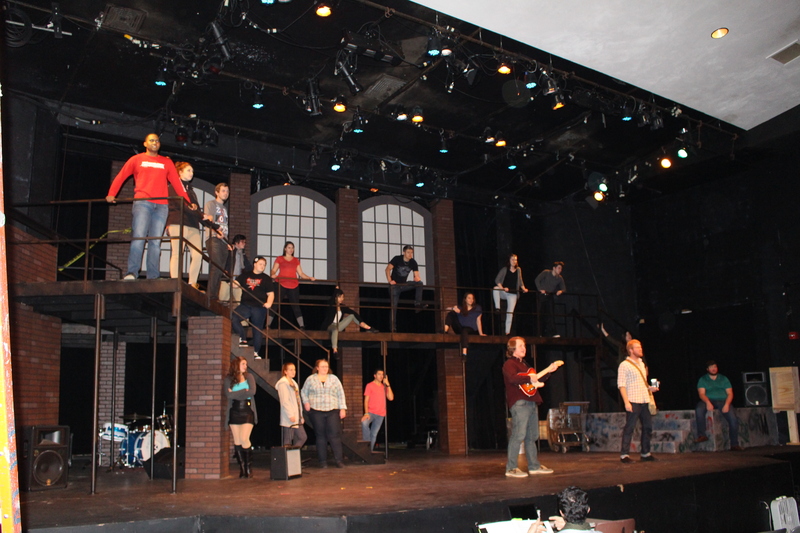 ETSU’s Patrick Cronin is directing the astounding musical, “Rent” starting Nov. 18-22 at the Bud Frank Theatre in Gilbreath Hall. The show was set in the 90’s and was based on young people with dreams trying to make it in a big city. “Rent” is definitely a show that pushes the envelope, but is truly inspiring. Those whom have never seen the show are in for a real treat; it requires an open mind and understanding of other people’s real life situations. “I’m hoping people will come out of this with a little bit more of an open mind,” Collins said. Performing this show is a great way to point out some of those issues, but in an entertaining way. Cronin lived in New York when it was a dying city, he said the artists struggled to keep the city alive and that is why he is doing it, it is the energy and power that is this musical.